RDSP has the honor of being featured publisher for the April subscription box from Night Worms. This means our swag will go out to all their subscribers along with books from Josh Malerman. In addition, a few lucky subscribers who get golden tickets will receive special prize packages from us. 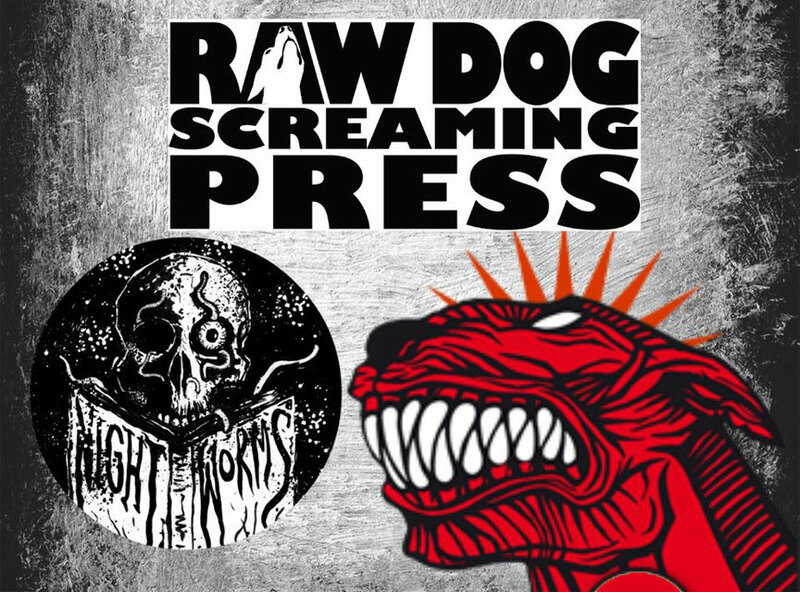 We’re really excited to be involved with this awesome project because we think companies like Night Worms represent hope for the future of horror and publishing during a time that has been somewhat bleak for the publishing scene. When RDSP first started there was an incredible website that stocked horror books called Shocklines run by horror-fan Matt Schwartz. That site contributed greatly to the success of our company by providing access to customers and purchasing/stocking actual copies from us. Unfortunately Shocklines eventually went out of business and since then we have rarely seen a project come along that could make the same kind of difference for authors and publishers. But the trend for subscription boxes offers a similar experience, allowing authors and publishers to reach new customers and get a serious boost to sales if their books are included. Not every subscription service is created equal, but Night Worms is special because it’s run by fans and they are dedicated to helping authors, publishers and artists, as well as providing fabulous boxes for fans. The Night Worms project came partly as a response to other shady companies who took money and didn’t mail out boxes or had poor customer service. That’s why they are so committed to creating a good experience for customers. They are also creating much needed excitement for books and reading during a time when books are are struggling to compete with social media and streaming services for people’s attention. This book club is adding intensity and a sense of urgency and timeliness to reading. They make books seem fun and shareable. Here’s how they do it. If you subscribe you receive a box once a month with amazing reads and great swag. You can choose to be surprised or you can find out what’s in the box in advance. You can also purchase boxes one by one if you are worried that you might not be interested in a particular month. The thing is, Night Worms is not just a subscription box but also a community. They do read-alongs, reviews and post pics of books. They even encourage their subscribers to post reviews and reward them for it which is very helpful for authors. You can follow their members on Twitter or Instagram and engage in conversation about the your favorite reads. I feel a sense of hope every time I go online and see one of them raving about a book. Books matter! These days many people see reading as solitary or a chore. I think this growing community of readers, that enjoys spreading the word about their favorite authors, is having a major impact on encouraging reading and making it fun. Every month their subscribers are growing so I’m excited to see how strong this community can grow. The Night Worms box currently available for pre-order is “Final Girls”, you can pre-order it here. I also strongly recommend signing up for their newsletter so you don’t miss any big news. This is by no means an exhaustive list and I apologize to anyone I’ve missed. However, following these people will undoubtedly lead you to many more great readers and reviewers.